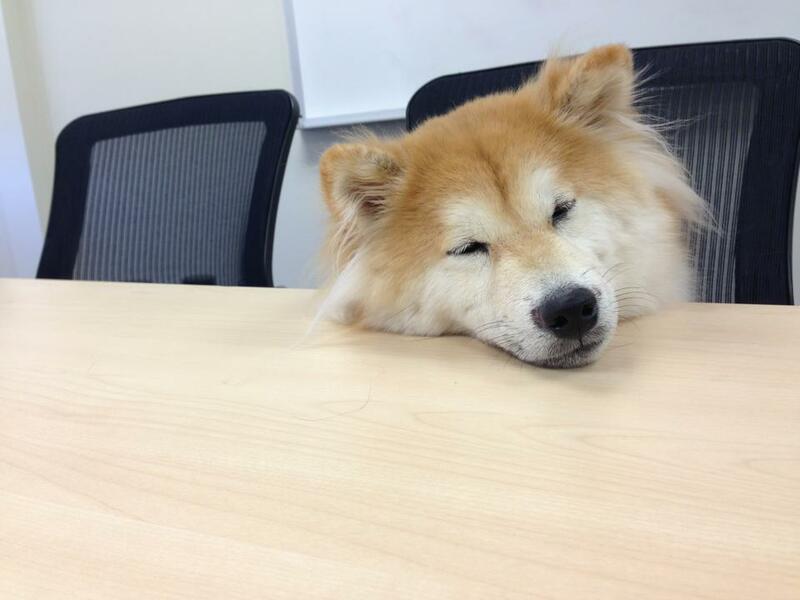 Yesterday was "Bring Your Dog to Work Day". Though it didn't really affect me, since almost everyday is my "Bring Maya to Work Day", it came to me as a good time for a post like this. I felt really lucky when we went shopping for an office space and found this nice dog-friendly building right in our budget range. Being able to take Maya to work with me made my transition from a stay-at-home doggie mom to a full-time workaholic much easier for both of us. I was a bit afraid Maya might not be accepted by all my colleagues, but fortunately she won over everyone's heart without even trying. 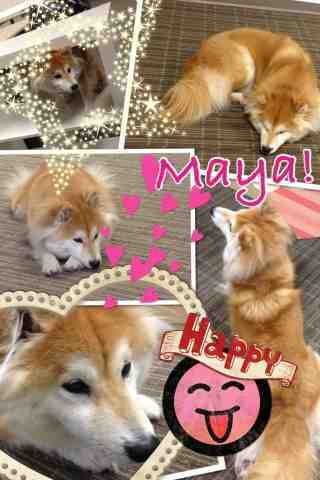 The first thing everyone does in the morning as they step in the office is to say hello to Maya. I would literally get scolded on the days I didn't bring her. It is interesting to find that feeding Maya seems to be somewhat fulfilling. I can clearly see the smile on everyone's face when they hand her a treat. Maybe it's the way she enjoys every bits of food that makes us all appreciate the little thing more. Letting Maya out of the baby gate seems to also turn into a fun game. 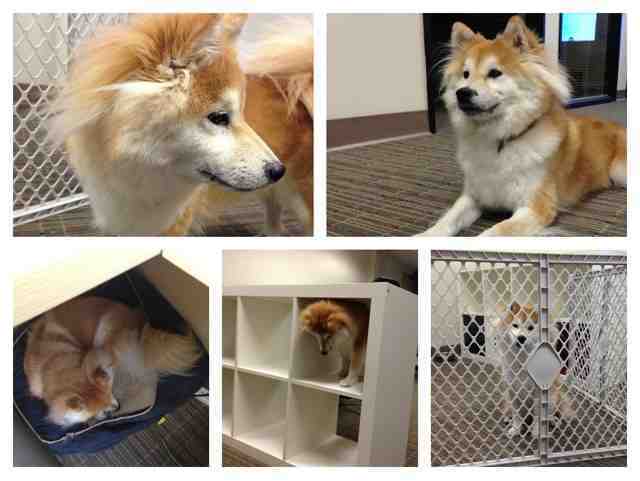 Every time I step out for a break I would come back to a pup running loose in the office. I guess Maya's shiba mind control is working really well here. All in all, I am grateful that Maya has been truly welcomed to the big family and glad she's able to spread some happiness along the way.